started in 1858, the preparatory department opened in the courthouse in the summer of 1859 and the collegiate department opened in the fall of 1861. The first county fair was held in the fall of 1859. The Galesville Transcript was established in 1860. 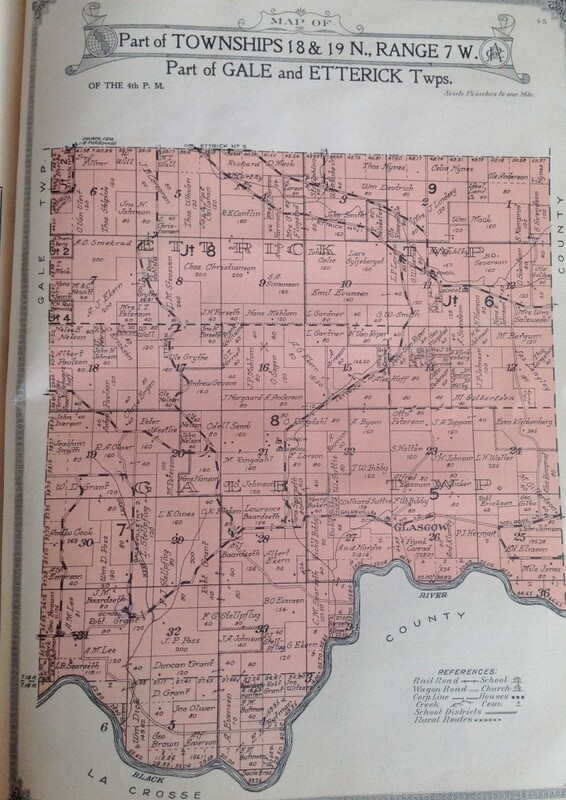 During this period of prosperity many houses were erected , several church societies perfected their organizations and the Rev John Frothingham, the first Presbyterian minister in the county,took charge of his work.” Lake Marinuka was formed and named for the daughter of a Hochunk chief. Galesville was built around a town square with houses and businesses arranged around it in New England fashion. 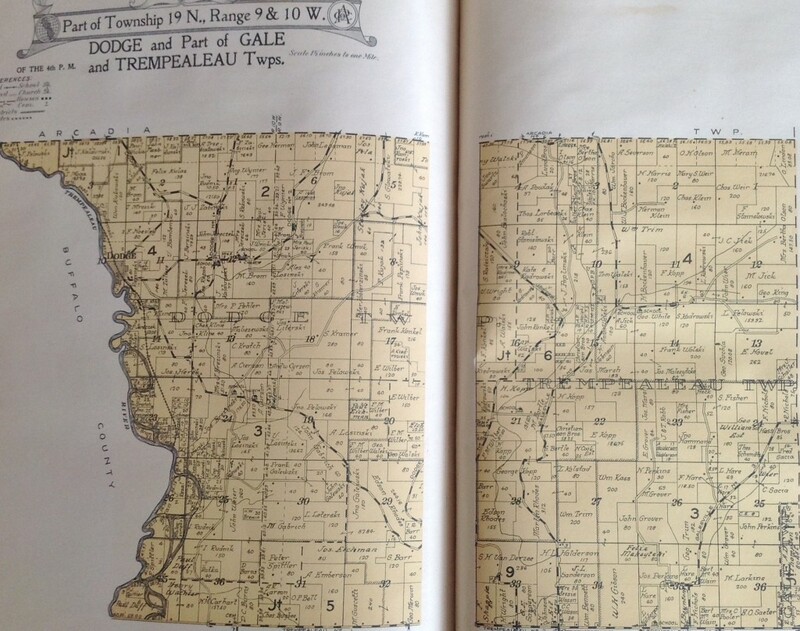 A train track was laid from Trempealeau into the Lower Table of Galesville. The train would back in and then return. Frenchville/French Creek was named for a French trapper who wintered in the vicinity. The settlement was almost totally comprised of Norwegians. 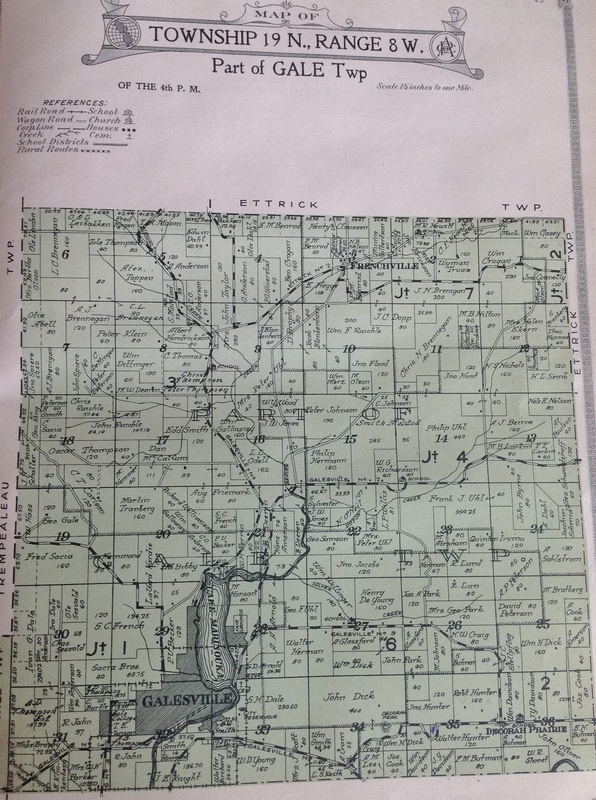 The Town of Gale had eight rural school districts- Crystal Valley, Decorah Prairie, Frenchville, Glasgow, Grant, Hardies Creek, Silver Creek and Smith.